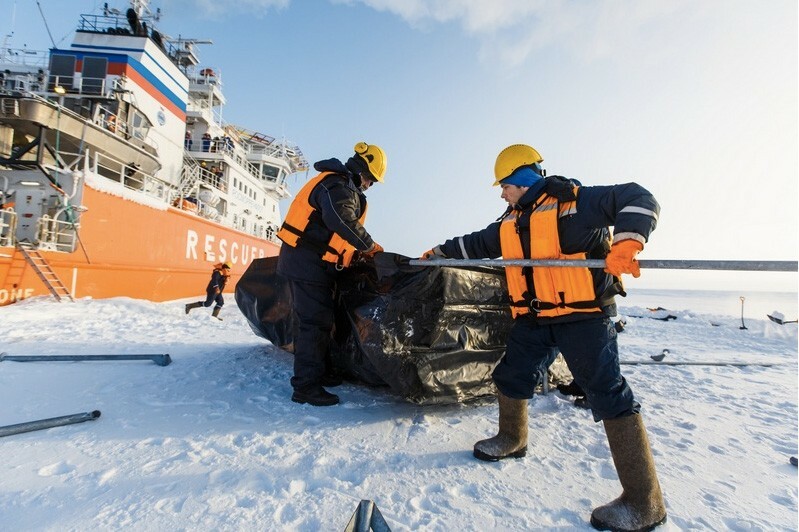 A coalition of international environmental groups is calling on the International Maritime Organization to prohibit the use of heavy fuel oil in Arctic waters. Members of the United Nations agency responsible for the safety and security of shipping and the prevention of marine pollution by ships have gathered in London, England, this week for the meeting of the Marine Environment Protection Committee (MEPC). Speaking from London where he is attending the MEPC meeting, Andrew Dumbrille, senior specialist in sustainable shipping at World Wildlife Fund Canada, said the international coalition of environmental NGOs has submitted an information paper to the IMO, outlining the spill risk and emission impact associated with the use of heavy fuel oil (HFO). Listen to Radio Canada’s interview with Andrew Dumbrille here. Marine animals that frequent the surface are especially at risk because this emulsified mayonnaise sticks to their furs and feathers, causing hypothermia and death, Dumbrille said. As polar ice recedes, increased Arctic vessel traffic increases the urgency to craft protections for fragile Arctic marine environments and communities, said Sue Libenson, Senior Arctic Program Officer with U.S.-based Pacific Environment group. An IMO ban on the use of heavy fuel oil in the Antarctic waters comes into effect this year. The Arctic Council has identified a heavy fuel oil spill as the top risk posed by increased vessel traffic, Libenson said. Studies indicate about 75 per cent of ships in the Arctic waters use heavy fuel oil, Dumbrille said. There is an associated issue around ship engines and ship design, but many ships that use HFO can also use diesel, Dumbrille said. The coalition of environmental NGOs is looking for support from countries around the globe to put the issue of the heavy fuel oil on the agenda of the next MEPC meeting in October 2016 and develop a work plan, which eventually will put in place mitigation measures that could include the banning of the use of HFO in the Arctic, Dumbrille said. It’s not clear yet what kind of political support does the environmental coalition’s initiative have among the member states, Dumbrille admitted. “This IMO meeting is the first public opportunity after that statement to show progress,” Dumbrille said. Under the IMO rules, Canada and the U.S. can also take national steps to manage the use of heavy fuel oil in the waters off their respective Arctic coastlines, Dumbrille said.